This may come off as a thinly veiled attempt to comments-whore, but I thought of this idea today: you blog for me. In the comments field, talk about whatever it is you feel like talking about today. Ready? Go. Is there anyone who takes Radio 1 DJ Tim Westwood seriously? I think Tim Westwood does or perhaps the man is taking performance art to some new unheard of level. If this is not the case I can only imagine he crawls around on all fours when no one else is around weeping at the soul buggering emptiness of his life. Oh God he's found me! Am I the only one who was slightly comforted by the Harvard genius who was caught plagiarizing? Kind of levels the playing field again. I cut the lawn today. The cherry trees in my garden are blossoming. The magnolia is in full bloom and the lilacs are just about to come out too. Spring is finally here and summer is around the corner. I played with my son in the garden, when I should really have been at work. And I'm off for a meal this evening when I shall probablt drink more beer than is entirely advisable. I'm feelin' that, Banksy! (BOOM) It's all about nice the days and a few pints. 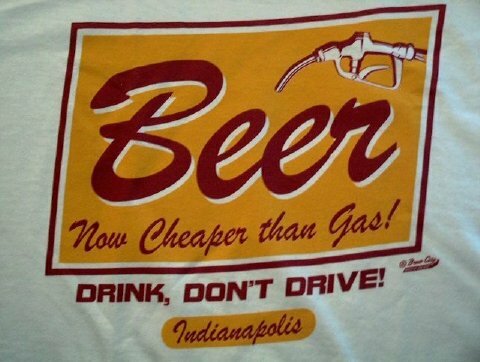 Don't drink and drive (BOOM). so you think you can just boss me around and tell me to blog for you, huh? what? you think i am some sort of blog-slave that will do whatever you want at the drop of a hat? you think that i will just drop everything so i can blog in your comment section (which is a major faux pas, by the way, because this section is reserved for comments and not blog entries). and no matter what kind of diet i try, my ankles are not getting any smaller and it's all your fault. may i borrow a lathe, please? thanks. I don't think a lathe would be th tool of choice for dealing with fat ankles crystal. Although admirably slim ankles are referred to as being well-turned. You'd have to strap yourself to it and spin round very fast. Not good. No, the tool I'd recommend would be a plane. Arizona is the only place in the State I've ever been to. I liked it a lot there, especially the night sky. "D'you like sponge? I do, cause I'm not allowed anything sharp." And here's the picture Goo was talking about. I'm always fighting the urge to wear shirts like this that generically support beer. It's crosses over into the area of being a dork, I think. It's one thing to stare lecherously at women, it's another thing to wear a shirt that declares you to be an Official Bikini Inspector. But somehow it's OK for me to wear a Guinness T-shirt. Westwood is the only person that takes westwood seriously. I sometimes wonder if he orchestrated his own shooting to gve himself some credibility. The fact that it was with a pellet from an air rifle and not a proper shooting lends weight to the theory. He probably didn't know anyone with access to a real gun. Also, I was totally pleased when the harvard genius was caught plagerizing. Bitter? Me? The new face of fabric softener is Fairy. I'm in a bad mood. I was woken after only 8 hours of sleep and my "waker-uppers" then promptly started to annoy me by Playing my guitar amd my tamborine and then trying to stick plunjer-type things onto me and writing ond me with biros. Also, its 2pm and I have not been fed. I can't Blogger to publish. I need a new blog provider.